This the perfect choice for those partial to a light wheat beer but unwilling to make compromises in taste. ERNTE WEISSE, the harvest pale wheat beer variety in the MAXLRAIN range, has an alcohol strength of no more than 2.9% vol. 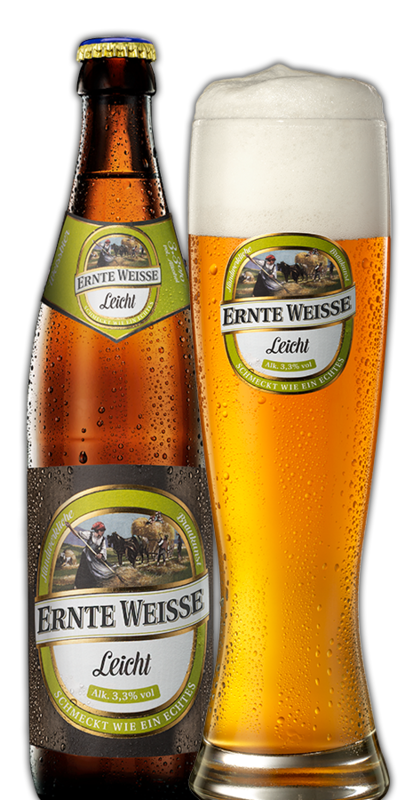 and is a good refreshing alternative to the LEO WEISSE and SCHLOSS WEISSE labels apart from being low in calories.